Plan Your Move Carefully and Save as You Complete Your Home or Office Relocation! 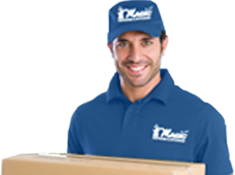 All local movers charge by the hour, so proper planning and good preparation can save time, money and frustration! 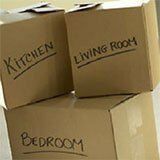 Eliminate confusion, extra labor and extra time by completing these simple tasks before moving day. Reserve parking at your current and future residences. Acquire a city parking permit if needed. Move cars out of the driveway and make sure there is enough parking out front for the moving truck. Talking to neighbors about street parking and possibly moving their cars for you in advance is recommended. Clear access to the front entrance, garage and side gate. Remove any obstacles that can restrict speedy loading & unloading. Don’t stack boxes in walkways or blocking entryways if possible. Let your move coordinator know about any low hanging branches or wires, street restrictions or unpaved roads at your current & new residence prior to moving day. This allows for proper arrangements to be made in advance. LABEL BOXES ON THEIR SIDE for quick room identification. Please do NOT LABEL BOXES ON THEIR TOPS. Movers need to read the boxes while they are still stacked on the hand truck for proper and speedy placement at your new residence. Use crush proof cartons for mirrors, pictures and lamps. Often times used boxes are NOT sturdy and do not stack well enough to withstand loading and transport. We can provide any packing supplies you will need. Check that your furniture is free of clutter, emptied and contents securely packed. Leave ONLY light garments in drawers. Our movers are trained to carry furniture with drawers in place, it is not necessary to tape or tie drawers shut. In fact, most tape will damage the finish. 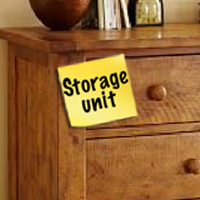 If you have items going to more than one destination or not going at all use post-it notes to identify, such as; ‘Storage’ ‘Stays’ ‘Do Not Move’ etc. – This saves time by eliminating confusion. 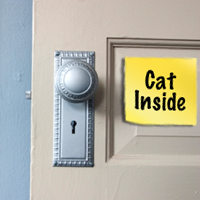 If your pet is staying safe inside a bedroom or bathroom during the move, be sure to label the outside of the door so your movers know not to open it. We want your pets safe and out from under foot of the movers. Moving wall mounted flat screen TV’s, surround sound speakers, curtain rods, valences, chandeliers, large wall mirrors, etc. – arrange for the removal of such items in advance of move day. Magic Moving & Storage is happy to provide referrals or make arrangements for you. Moving Desktop Computers, Components, Televisions, DVR’s, DVD players, CD players etc. – disconnect these items. Bundle, label and pack chords / remotes. 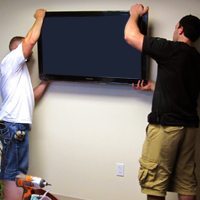 Pack or Crate Flat Panel Televisions – discuss flat screen transportation with your move consultant before move day. Magic Moving & Storage can crate or pack flat-screens. If you have the original cartons – don’t hesitate to use them. Same applies to desktop and laptop computers. Because sudden temperature changes can result in damage to electrical components, you should not operate electronic equipment just prior to a cold weather move. Do not put screws & parts inside of the appliance, they may get lost. 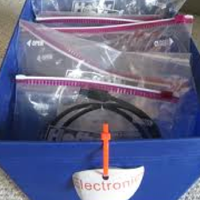 Small parts can go into a labeled ziploc bag. Tape dangling hoses and cords flush to the back of the appliance. Gas ranges, gas clothes dryers, or direct wired electric clothes dryers should be disconnected by an authorized technician. Water hoses must be removed from clothes washers, freezers, refrigerators, etc. and the electric cords wound. Most movers are prepared to perform this task (excluding gas), but doing so beforehand will save you time and money. 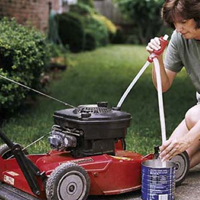 Moving Lawn Mowers, Trimmers, Blowers – empty gas/oil. This will prevent a leak which could damage other items during transport. Wipe off dirt, clippings, webs. CAUTION: Proper removal of gasoline is important; 1-2 days in advance with the cap removed allows for final drying and ventilating. Moving Garden Hoses – drain, roll, connect ends. 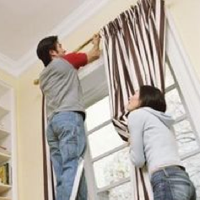 This will prevent a leak, which could damage other items during transport. 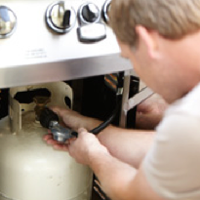 Moving Bar-B-Q Grills – clean out grease tray, ashes, food and disconnect propane tank. Wipe off dirt and webs. Dirty grills make a mess and can soil other items in your shipment. It’s best to clean thoroughly before moving. Due to their hazardous nature no household goods carrier is regulated to transport propane tanks, see list of prohibited items. Long-handled Garden Tools, Brooms, Mops, Swifters – should be bound together, it allows your movers to load/unload several items at once. You’ll save time and money. Moving Swing Sets, Tool Sheds, etc., – dismantle, wipe off dirt and webs. Outside items that need dismantling should have the nuts and bolts sprayed daily with a penetrating oil beginning several weeks in advance of move day. This step often avoids the necessity of chiseling and cutting rusty fasteners during dis-assembly. It is advisable to complete this dismantling process one to two days prior to your scheduled move day. Cheap Moving? No. Save Money Moving? Yes!